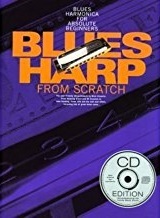 This book has become our go-to resource for 10 hole harmonica teaching. It’s arranged for the C major harmonica and the music is laid out in standard notation, which is great for learning to sight-read. 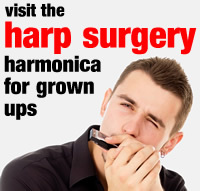 The music also has harmonica arrow tabs and comments to help players develop their vocabulary and theoretical knowledge. The song selection includes some excellent ‘evergreens’ such as When The Saints Go Marching In, Scarborough Fair, Londonderry Air, Edelweiss and All My Loving. There are also plenty of tunes for younger learners. 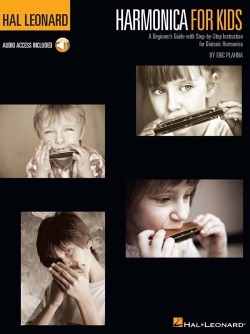 This book is great for children learning the 10 hole harmonica, and it’s all arranged for the C major harmonica. Songs are set out in standard notation, which is great for learning to sight-read, but also have harmonica arrow tabs and song lyrics so that players can find their way more easily. The song selection includes some excellent ‘evergreens’ by artists such as The Beatles, Van Morrison, John Denver, Simon & Garfunkel and Bob Dylan. A great way to explore musical styles from folk, country and pop, to rock, R&B and blues. 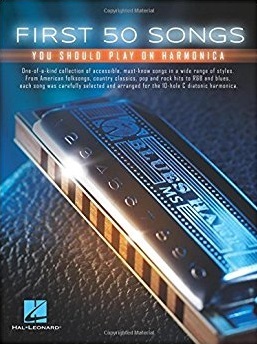 This is a fantastic harmonica music book and CD for children who wish to progress towards playing blues and cross harp styles in general on the 10 hole harmonica. Music is for 10 hole harps with tabs and standard notation. It’s the perfect way to develop new skills and learn to read music. Progress is really well managed with excellent tunes and tips, building up from simple 12 bar patterns, into note bending and important intermediate techniques. This book and CD contains some great seasonal tunes for Christmas. As with Funky Nursery, music is tabbed for 4 and 10 holes. Music includes Jingle Bells, The Holly & The Ivy, Deck The Hall, The First Noël and many more familiar tunes.